The publication of Half Lost marks the culmination of the Half Life trilogy. Back in 2012, when I reviewed Half Bad, the first novel and Sally Green’s debut, I hailed it as a new Harry Potter – not because it was the ‘next big thing’, but because its tone, themes and story matched that of the vaunted wizard. So how does the series fair, two books later? Picking up where Half Wild left off, Half Lost is the gradual build to the inevitable battle. Much of the first half is spent in Alliance training camps with Gabriel and co – waiting it out, planning it the entire operation, though a lot of the emphasis is on the relationship between the two – now tense, for reasons that aren’t always clear. Still, there are moments of mortal danger when Nathan encounters the most powerful (and recluse) witch in an attempt to obtain and protecting amulet and in a reconnaissance mission to capture Annalise from a group of Hunters. Nesbitt’s departure from the rebel group is somewhat of a tragedy – he’s such an entertaining character that the story doesn’t quite feel the same – and it’s unclear why Green made the decision to bump him off (even though it isn’t, you know, by killing him). In any case, the final conflict, when it does arrive, is relatively contained: a raid on the Council of White Witches in England. Nathan, now a super-powerful witch, verges into deus ex machina territory, and it’s hard to believe that he could fail against his adversaries given his insane selection of talents. Still, the climax is an exciting one and Green manages to inflict a great deal of damage even if Nathan survives, and there’s a wonderful little examination of grief in the final pages. 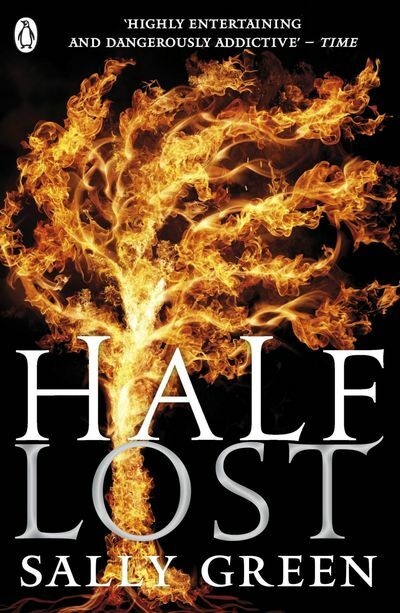 Like the trilogy, Half Lost isn’t perfect – few things are – but it is a deserving and fulfilling finale that ends Nathan’s story nicely – or perhaps that’s the wrong word? !